Title: The Juicer. 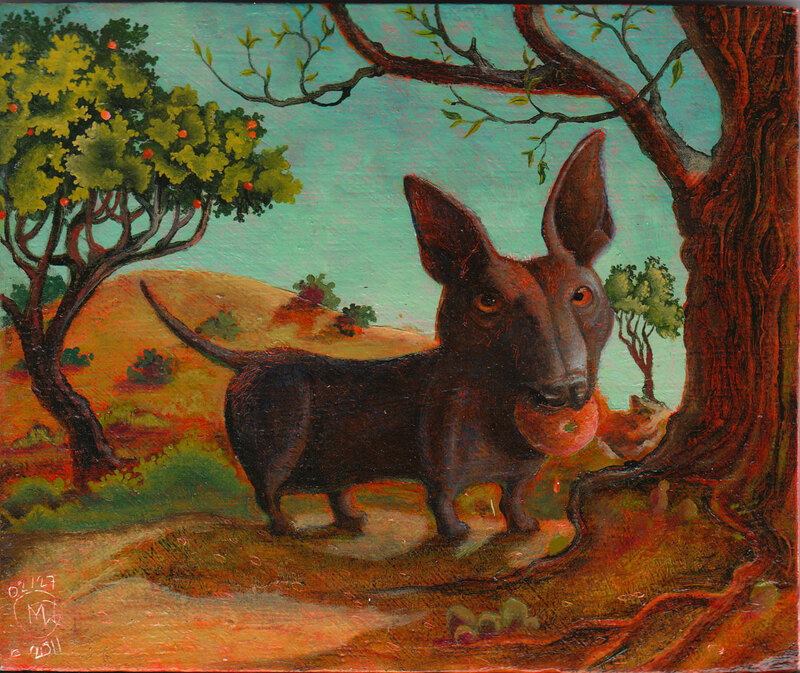 Medium: Oil on Panel Date: 02/27/2011 Dimensions: 7.25” X 6” Description: Portrait of my Xoloitzcuintli (Mexican Hairless dog), Zsa Zsa Posole'. She loves to eat oranges. This was a gift for my partner, Emmel.